A new cooling system is a major investment into your family's home comfort. When budgeting for a new system, it's important to think beyond the initial purchase price. You will have peace of mind in knowing your air conditioner is being looked after by the very best service technicians in Wininpeg. If you ever have a problem during the normal use of your system, you won't pay an extra dime! With the Reliance Superior Heating AC Rental program your monthly rate is protected for five years. If you decide you want to purchase your air conditioner, we also offer convenient buy-out options. Reliance Superior Heating has taken the worry and high upfront costs out of getting a new high efficiency central air system. With our AC rentals, all repairs and maintenance resulting from normal use are included, so you'll never have to worry about another repair bill again. 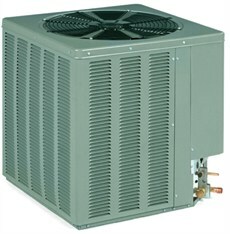 Renting an air conditioner from Reliance Superior Heating is easy, economical, and 100% worry-free. It's the smart choice. Click here to learn about our furnace rental program.